Piece Brewery & Pizzeria—a mainstay of non-casserole, New Haven-style pizza in Chicago’s Wicker Park neighborhood—is being sued by music licensing agency BMI and Sony over its use of songs by Weezer and Red Hot Chili Peppers at a live event. 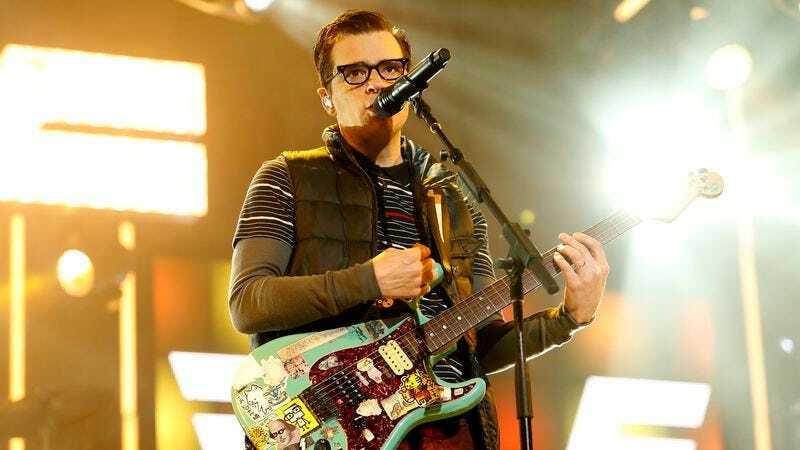 The lawsuit—which you can read here—also lists corporations and partnerships formed by the band’s respective frontmen, Anthony Kiedis and Rivers Cuomo, as plaintiffs in the case. The claims against Piece (and manager William Jacobs) center on the restaurant’s weekly karaoke night, where drunken music fans get to wrap their grease-stained fingers around the mic to croon “Give It Away” or “Say It Ain’t So” while live musicians back them up. And that’s exactly what they did on the night of August 23, 2015, apparently, when BMI’s watchdog stopped by to catalog those flagrant, egregious, and potentially off-key violations of this country’s semi-Byzantine music licensing laws. A brief refresher on karaoke copyright law: unless you’re singing something from the public domain, karaoke renditions of copyrighted songs count as public performances, which, legally, require the songwriter to be compensated for the wear and tear on their hard-crafted lyrics. Normally, agencies like BMI and ASCAP—non-profits that collect licensing fees to pass on to songwriters—make do with frequent reminders to get proprieters to pony up for licensing of both live and pre-recorded music. But Piece—which, in a weird little wrinkle, is co-owned by Cheap Trick’s Rick Nielsen—has apparently been ignoring BMI’s requests, leading the agency to drag them into court. Legally, this looks pretty open-and-shut: Piece knowingly profited from playing copyrighted material without paying the people who created it. On a public perception front, though, it comes off nearly as tone-deaf as a drunken Cubs fan warbling his way through Willie Nelson’s “Crazy”—also cited in the suit—with the big, mean music corporation coming after a beloved thin-crust institution for letting people yell “The Sweater Song” at their friends. In a perfect world, of course, the case could be worked out amiably with a little cross-promotion, with Piece maybe adding Red Hot Chili Peppers as a topping to its usual artichoke hearts and fresh basil, or renaming its “White” and “Red” pizzas Weezer and Weezer, respectively.